Once a year AIIA Victoria holds an Oration and dinner, honouring former Governor-General and legal expert Sir Zelman Cowen. 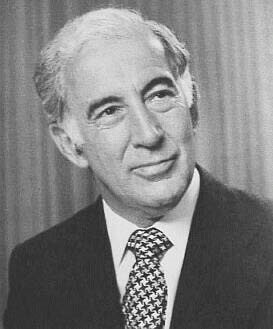 Sir Zelman’s storied career of academia and public service was one dedicated to international affairs and the people of his home country, Australia. In keeping with his legacy of engagement and curiosity in world affairs, AIIA Victoria’s annual Sir Zelman Cowen Oration features an eminent speaker discussing a topical issue that affects Australia’s role in the world. The evening is an opportunity to meet old and new friends, to mingle with diplomats, academics, foreign correspondents and members of the international community in Melbourne, continuing the tradition of acknowledging the contribution of Sir Zelman Cowen. The State of the World: is the ‘Good Cheer Barometer’ Rising or Falling? Ending Deadly Conflict –Dream or Delusion?